Certificate Inventory | Qualys, Inc. Inventory TLS/SSL digital certificates on a global scale. Using your existing Qualys scanners deployed for vulnerability management, Qualys Certificate Inventory collects all the certificate, vulnerability and configuration data required for certificate inventory and analysis. It also provides a comprehensive overview of your certificates and of Qualys SSL Labs caliber certificate grades via the highly customizable dashboard. 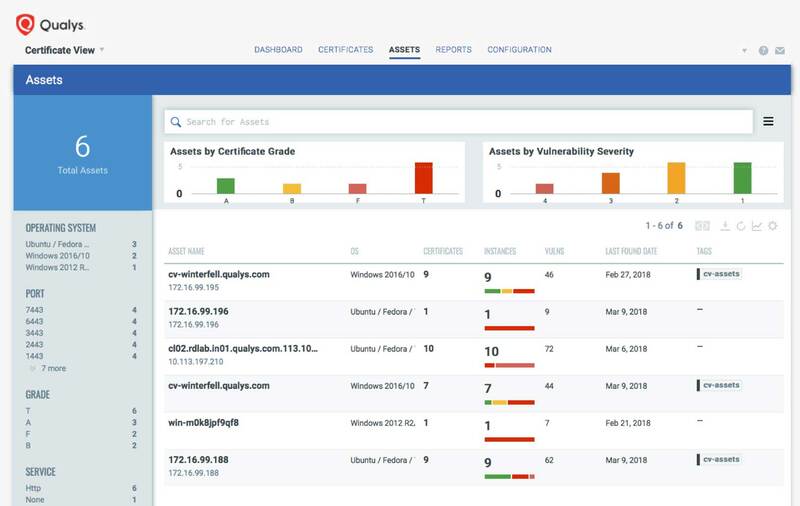 Qualys Certificate Inventory stops expired and expiring certificates from interrupting critical business functions, and offers direct visibility of expired and expiring certificates right from the dashboard. It also prevents wildcard certificates from disrupting business that relies on secure communications with authenticated partners and customers. 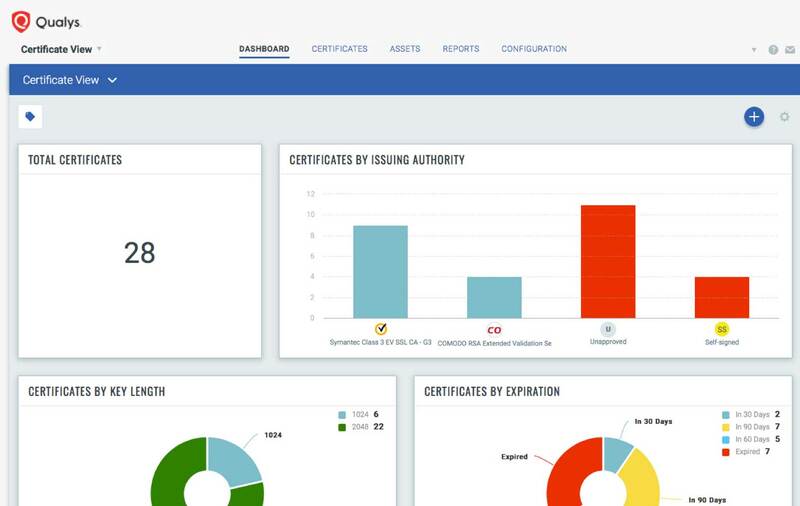 With Qualys Certificate Inventory, you can create a baseline inventory of all certificates in the enterprise and continuously monitor for new certificates. It also provides full visibility of certificates across all enterprise IT assets, both on premises and in clouds. You can also see how many certificates are out of compliance or don’t follow organizational policies for key length, for signature algorithms or for the use of trusted and approved Certificate Authorities. Qualys Certificate Inventory displays a full inventory of your certificates from a single console, and with Qualys CRA, quickly assesses them for misconfigurations that can be easily exploited. Certificate Inventory continuously discovers and monitors certificates across the enterprise to ensure certificates are renewed before they expire, which stops certificate-related outages and improves availability, across both on-premises and cloud instances. Organizations often overlook improperly configured TLS endpoint services, underestimating their security and compliance risks. These misconfigurations are a major vector for breaches. Qualys Certificate Inventory can be used to enforce policies against weaker certificates and unapproved Certificate Authorities. 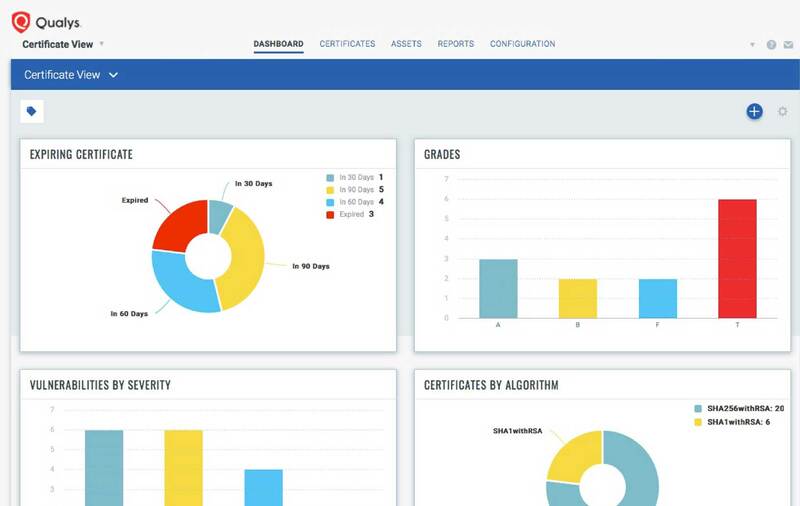 When auditors flag risks that need to be mitigated or identify compliance violations regarding Certificate Authorities or certificate protocols, Certificate Inventory helps you quickly find those certificates and configurations and remediate them. 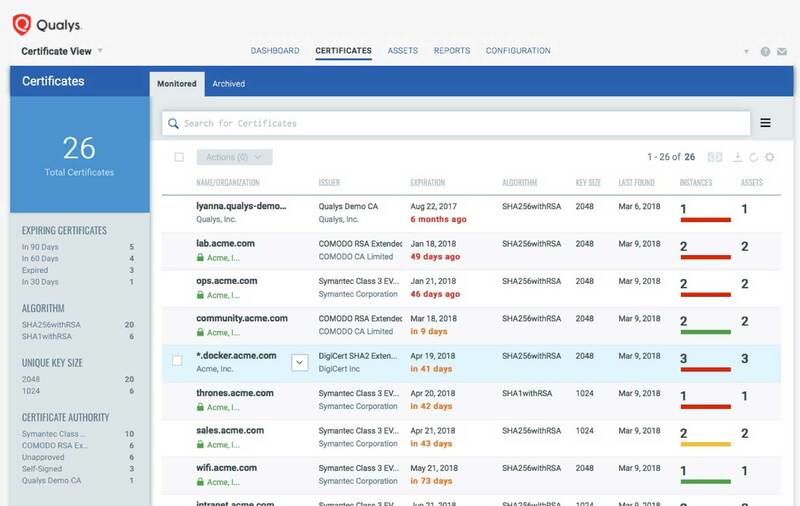 From Qualys Certificate Inventory’s single console, you can monitor certificates as well as the underlying TLS configurations and vulnerabilities on business-critical systems across diverse cloud and on-premises environments of all sizes. This is made possible by a unique combination of Qualys’ scanner architecture, broad platform support, unparalleled scalability, and a powerful but easy-to-configure real-time monitoring engine.